Wrong: "Honey, I'm going for a walk!" Right: "Honey I'm going for a swim!" Wrong: "Honey, I left my keys in the car!" Right: "Honey, I left my keys on the boat!" Such is life in a city where bumper to bumper is buoy to buoy, where ambulances and garbage trucks have outboard motors, and where the local kids look forward to getting their boating license and not their drivers license. This is Venice, where, to quote the brilliant Dr. Emmett Brown "Roads? Where we're going we don't need roads." It doesn't take much to fall in love with Venice; as long as you have two eyes, it shouldn't be difficult...a big, fat wallet helps, too, considering the huge price inflation due to the influx of tourists every summer, but as long as you have the necessary ocular equipment, you're headed for amour of the geographical persuasion. 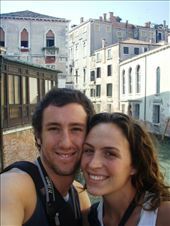 Everybody knows Venice; it’s that city in Italy with canals instead of streets and boats instead of cars. But until you see the city in person, you can't understand that to step outside the train station and catch a bus, you'll probably need motion sickness pills and a good set of sea legs. But what really stops your heart and catches your breath is the absolute antique beauty of the city. Setting foot into Venice for the first time is like getting jumped by a guerrilla gang of postcards hell-bent on teaching you a lesson about their city. As your foot finds purchase with its first steps into Venice, the beauty of the city is so immediately breathtaking that there is a noticeable lack of oxygen directly outside the front doors of the train station as each newly arrived tourist gasps at the city's beauty. 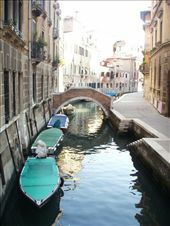 Beyond the cliché of the canals, when one thinks of Venice, the clear picture that comes to mind is the broad open square frequented by pigeons more-so than tourists. This is San Marco Square, the only place in the world where rats-with-wings actually ADD to the romantic backdrop. 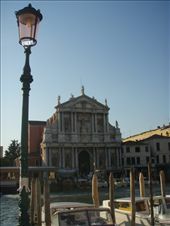 The perimeter of this piazza is comprised the Palazzo Dacale, the Basilica of San Marco, and the Campanile of San Marco. Imagine this. With humans and pigeons living in poetic harmony, the two share a love affair with a city that has enough love to spare. And if you feel like nurturing (or nourishing, as it were) that love, spare a Euro and buy a bag of bird seed from any of the vendors in the piazza, feed the birds, and snap pictures as the birds land on all parts of you and eat directly out of your hand; these pigeons make New York pigeons look timid. 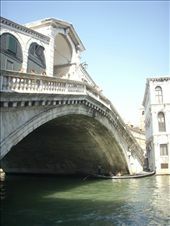 But if you can break out of the hold that this magnetic tourist center grips you with, cross the Ponte Rialto, and explore the rest of the small city, you'll find just as much fulfilling scenery with only a quarter of the tourists! 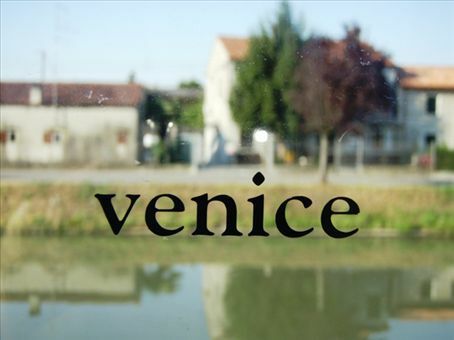 It’s Venice lite! Explore the backstreets of this city and you'll find enough cafes, eateries and bars to satisfy even the most voracious consumer. The city boasts the most complicated layout we as travelers have ever experienced, but there's no chance of starving to death in the labyrinthine city streets as every street offers myriad restaurants to nourish the body and endless atmosphere to nourish the soul. Outside the city we found camping Serenissima, where we set up camp and tore down our walls of self-restraint; we finally caved and bought a burner, propane, and a pot...one can only take so much salami and cheese. And oh the culinary delights that followed! But, if it weren't for the helping hand of a French family, we never would have found the campsite, and thus never have purchased our new favorite toy: the website for Serenissima says to take bus #53 to their campsite, but what they don't tell you is that bus #53 doesn't exist. So if you're interested, look out, instead, for the bus marked PADOVA. Oh, and as beautiful as the site is, they have a bit of a mosquito problem, but I suppose that's to be expected in a city surrounded by water, huh? Rumor has it that Venice is sinking into the ocean. But recent research denies this, stating instead that the city is not receding into the ocean, but the ocean is proceeding into the city; the city is sinking no faster than any other land mass. 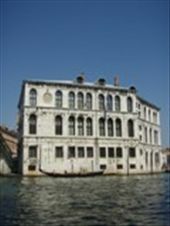 The only sinking in Venice was our hearts (and bank accounts) as we departed its flowing canals and winding backstreets.